In an extended meeting with Russound CEO Charlie Porritt and Vice President of Product Development Colin Clark, Strata-gee had the opportunity to learn details of the relatively dramatic developments at the company – many taking place behind the scenes – that management has undertaken over the last few years to better position the company for the future. Like a fighter with a new trainer who has put him on a strict diet and rigorous training regimen, Russound has emerged from an at-times painful multi-year process leaner and meaner…and ready to rumble. 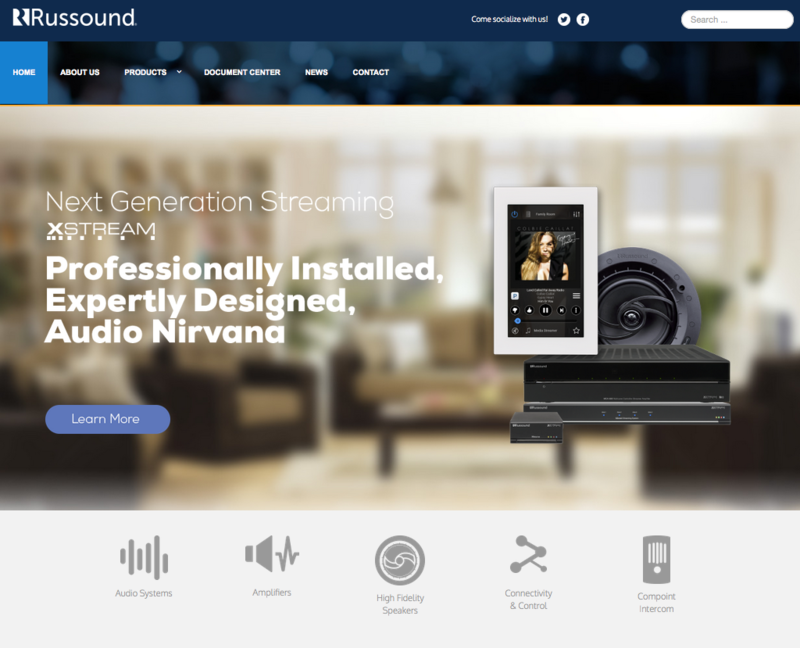 Second-tier manufacturers like Russound are a staple of the custom integration business, generally existing in profitable niches that the major players have either ignored, or in which they are not particularly strong. These manufacturers need to be swift and adept – quicker to execute on emerging trends and always on the lookout for new avenues of growth. At times, it can feel like a mouse tap-dancing in a field of giant elephants. If you’re not quick, you’re going to get squashed. And so, we have often observed over the years that the drive for innovation is even greater here in this second tier than at some majors whom, having obtained success, shift from striving for growth to protecting their flanks and holding on the the business they already have. The industry partied like rock stars from 2000-2005. Manufacturers like Russound pushed to build capacity to fulfill rapidly growing demand. Then in 2006, someone pulled the plug on the jukebox. The industry is still struggling to return to the level we were at in 2000. “When I joined the company, we owned three buildings in New Hampshire,” Russound CEO Charlie Porritt told us. These buildings included not only their headquarters, but manufacturing, service, and logistics centers. Russound, proud of their history and the quality of their products, was largely vertically integrated and built many of their products in-house. It was clear to Russound’s CEO and management team, that changes were needed or the company would lose its ability to compete – like that aging, bloated fighter. It was also clear that these changes would need to be big and, at times, painful. First up, Porritt and crew needed to determine the company’s core competencies. With that determination, the company began the process of outsourcing all of the other roles, including manufacturing, service, and logistics. As part of this process, the company divested all newly unnecessary facilities and contents. Porritt told us that they had sold off two of the three buildings, and would close on the third the day after our meeting last week. That means they are left with their headquarters building – now leased, not owned – and one outsourced warehouse in Buffalo, NY. They also outsourced service to a third-party specialist operation. These moves combined to reduce employment levels from 175 employees at its peak, to 37 now – all in the core functions of design, marketing and sales functions. Selling off assets raises cash and reduces overhead…both very good things for a company seeking flexibility and nimbleness. Although it took years to accomplish, the process has left the reformulated company slimmed down to its fighting weight – with a more focused mission. “We went from a high of 175 to our current staff of 37, mostly due to our recent transition to a dedicated, experienced 3PL (3rd Party Logistics Provider) for our warehouse and shipping operations, as well as a 3rd party service center for all product service and repair, including warranty support,” Porritt told us. According to Porritt, the biggest benefit of all of these moves is that – thanks to their newly reinvigorated finances – the company has been able to double their Research & Development (R&D) budget. This allows them to embark on their next phase of the process – driving strong organic growth by launching a fresh new series of products that both extend the lines of business they are already in, and open the door to logical expansions into new complementary channels. The company, Porritt promised, is on the verge of announcing several new products, technologies, and partnerships to drive that organic growth. Perhaps the first example of this, Russound announced today that it is partnering with Ihiji to give their dealers the latest remote monitoring and management capabilities. Now part of Ihiji’s Vendor Insights Program, Russound dealers will be able to tap into Ihiji’s extensive remote monitoring capabilities, opening up a new revenue opportunity for the dealer as well. The program allows dealers to monitor the health of the client’s devices, perform configuration updates via Russound’s WebConfig browser tool, and update firmware remotely from their headquarters. 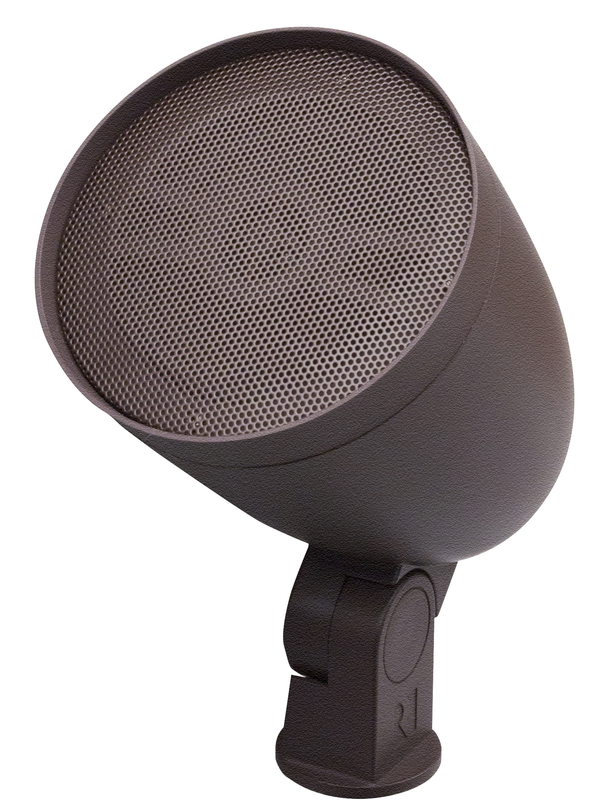 The company is also launching a new line of landscape speaker products and showed us a sample of their new AW4-LS-BR model, which is designed to blend with outdoor lighting fixtures. VP of Product Development Colin Clark showed off the product like a proud papa showing off his new baby. Clark noted that the company paid attention to important details often overlooked by others – such as a rust-proof brass thread mount, lock nut to secure the speaker’s orientation, security wire attachment hole, waterproof tap settings, and more. The unit, which houses a 4″ 2-way speaker with a 4″ woofer and a ¼″ tweeter was heavy…we were surprised by the heft. The ABS exterior is completely weather-resistant, access to settings is under a weatherproof cap and – sure to be a hit with integrators – the unit is 70v/100v/8Ω capable. Russound will also be offering a 10″ burial subwoofer in the series to help complete the system. New Marketing Support Program for Dealers – Russound will be updating their website and app to include a very visible “Learn More” section. 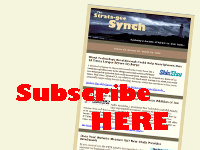 This section is designed to help dealers promote Russound to their clients. For clients who are not familiar with Russound, the dealer can simply point them to the Learn More section where there will be content designed for consumer consumption, informing their clients on why they should consider Russound. Voice Control – Yes, you heard it here first, the Russound executives admitted to us that they will be announcing voice control integration very, very soon. While we didn’t get a lot of details, we do know the company is making sure the voice control system will work perfectly and intuitively with all of their controllers and streamers. Adding Integration Partners – The company continues to expand integrations with other brands including Control4 and RTI. Finally, Porritt mentioned that – although not new – Russound’s RCI (Russound Certified Installer) Program is “still growing every day.” Right now, the program, which is meant to kill unauthorized sales of their products, has more than 7,500 participating integrators around the world. This is greater participation at this stage of the program than Russound could have ever imagined. We walked away from the meeting impressed with the moves the company has already made…let alone is about to make. Streamlining the organization, cutting overhead, generating cash to build a war chest, doubling R&D, launching new technologies, updating key products, entering new categories…whew! 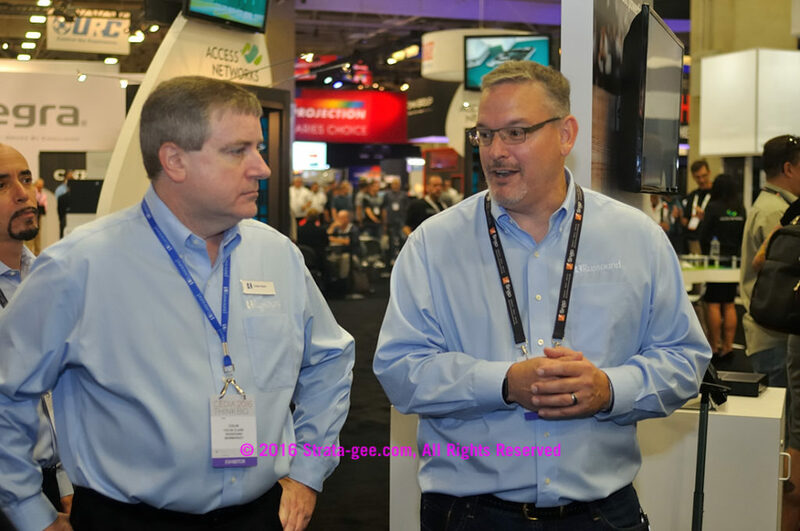 What more could an integrator ask? Learn more about Russound at: www.russound.com.